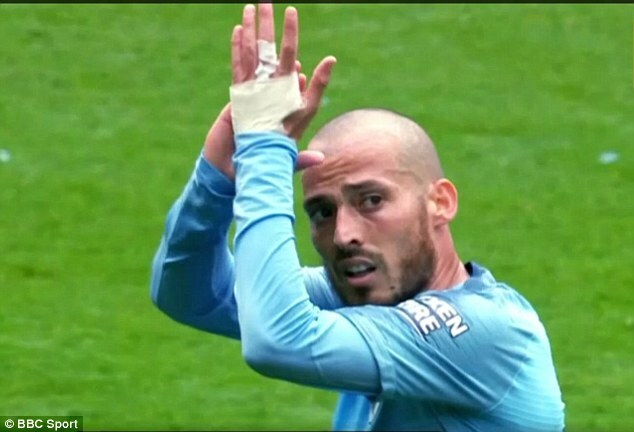 David Silva has opened up on the most testing time of his life after his son was born five months prematurely last December. There was nothing Silva could do while his son, Mateo, was in hospitla fighting for his life but hope for the best. The Spaniard flew back and forth between England and Spain to see him, missing training, losing sleep and hardly eating. 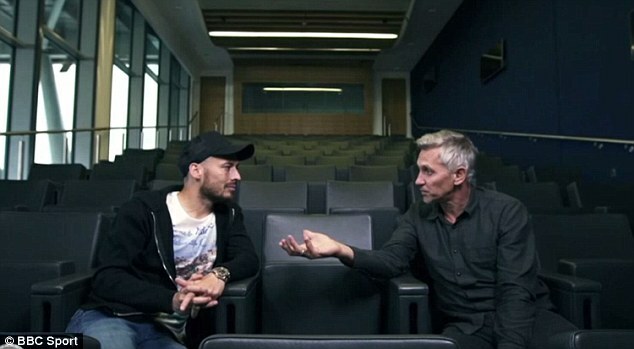 ‘It was really difficult,’ he said toBBC Sport.‘It was so tough, him being in hospital for so long. Besides, he was in Spain, meaning I had to travel a lot and could hardly train. Silva has also admitted that playing football was a welcome distraction, as City claimed a League Cup and Premier League double. Pep Guardiola was understanding of the situation and allowed Silva time off as and when he needed it. But it was actually playing football that was the only form of escapism the 32-year-old could find. ‘Yes, I’ve said it before, the only time I could get it out of my mind was when I was playing. Then I would start thinking about everything once the match was over,’ he continued. Mateo is now a perfectly healthy baby boy, and Silva and his wife, Eva, paraded their son in front of the Etihad prior to their first home game of the season – a 6-1 demolition of Huddersfield. Previous articleShould middle-aged people with high cholesterol take statins?